What we have here is another fine example of Belgian craft beer, brewed with passion and treated with care. 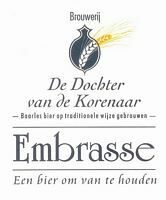 At the base we have the 'Embrasse' full malt stout from the 'Dochter van de korenaar'-brewery. A tasty, dark, creamy and smokey stout, allready deserving your attention as it is. This version however is aged in oak barrels during 3 months giving this allready rich beer a full peat, whiskey flavour. 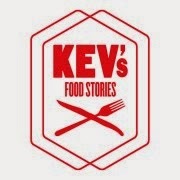 Not to be taken lightly! Sniff: Aaaaahhhh, peat, peat and peat and some wood. A full impression in the nose of peatey Islay whisky, nice! Some hints of ripe, dark fruit - think prunes. Sip: Peat is again prominent together with the oak so this will divide the lovers from the haters. mouthfull of dark fruit, chocolate with a slight pleasant sour in the back of the mouth. A full body and a lasting aftertaste, keeps building in the mouth. ABV is 9% but the alcohol is not that prominent. A very nice beer from this small brewery. One to drink on cold winter nights in good company, one to 'embrace'!